You can’t always stare harder to spot an answer: sometimes, you need to switch to a new lens. And sometimes, you have to grind this new lens yourself. I use this analogy when talking about the journey to Social Leadership: it’s not something you can just read about in a book, or take a course to master, because it’s a social capital, earned through social interaction, practical effort, and humility. You cannot give someone the new lens: they have to build their own collection. 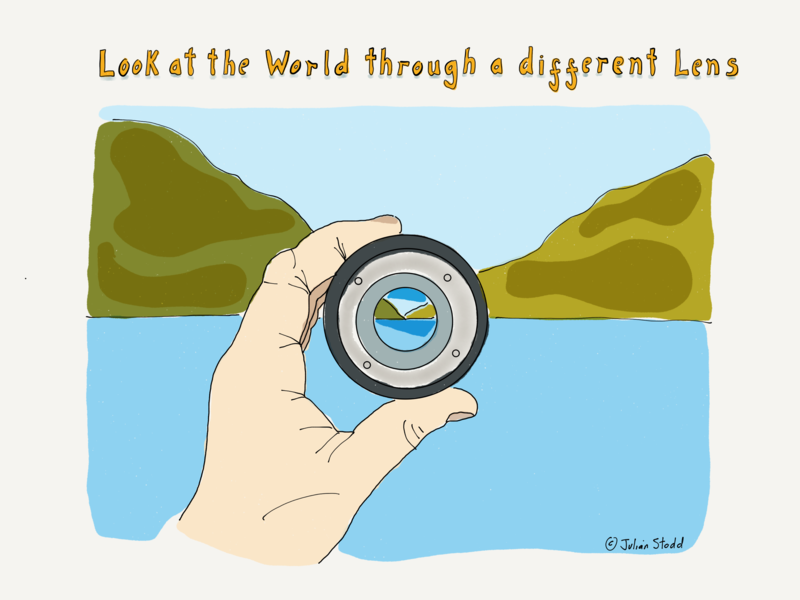 Because Social Leadership is not just one lens, it’s an ability to switch lenses, to understand different contexts. Perhaps the specific ability is to know when to switch, and how. Sometimes the view that we need is granular, whilst at other times, it soars above us. Sometimes it means staring towards the light, whilst at other times, into the darkness. So this is our journey: through every page you read, each fascinating conversation, every encounter that we are humble enough to listen in, and listen well enough to learn. Every time we reach out in gratitude, and share our uncertainty or vulnerability. Each time we do the right thing, not just the easy one. In all these instances, we shape the lens a little clearer, we find our focus a little better. Sharing a lens with others is easy: we can see the world as they do, and find comfort in conformity. But to truly effect change, sometimes we have to look differently. We need to change the lens. This entry was posted in Leadership, Learning and tagged humility, Leadership, Learning, Lens, Perspective, Social Leadership. Bookmark the permalink.